The Blog Formerly Known As The Blue Cottage: Valentine Gift for a Frida Kahlo Fan?..and Mo Carved Wubba! Valentine Gift for a Frida Kahlo Fan?..and Mo Carved Wubba! Doing my relaxing thang again ...carving da wubba! 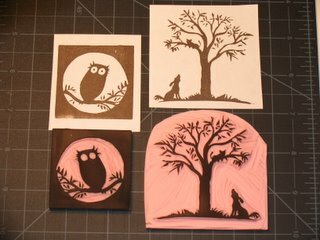 Notice on the owl I drew in the eyes after..I am not that advanced yet to get those teeny-tiny dots with even my smallest carving blade! Oy! I like "Barking Up The Wrong Tree"..but I picture it in a positive light...little doggie is barking at the kitty letting her know he will get help for her :-) Aww..I touched your heartstrings with that one I bet. HA HA! Ay Mija, how I love that image! Here I was thinking that little nasty dog was after the helpless kitty! How wrong was I? I really like your interpretation of the whole scene. Keep on carving and sharing! I have emailed you privately in response to your question. 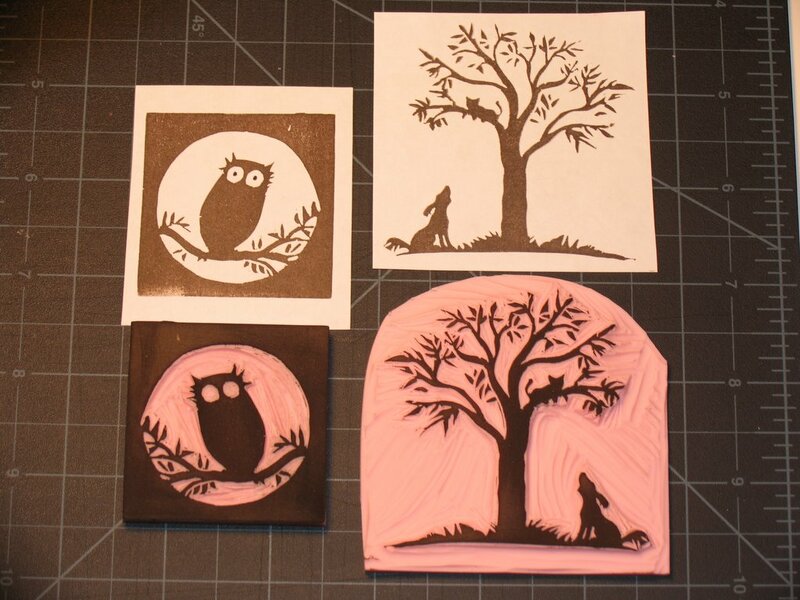 oooooooh, these are so lovely!! i love the weathered look!! 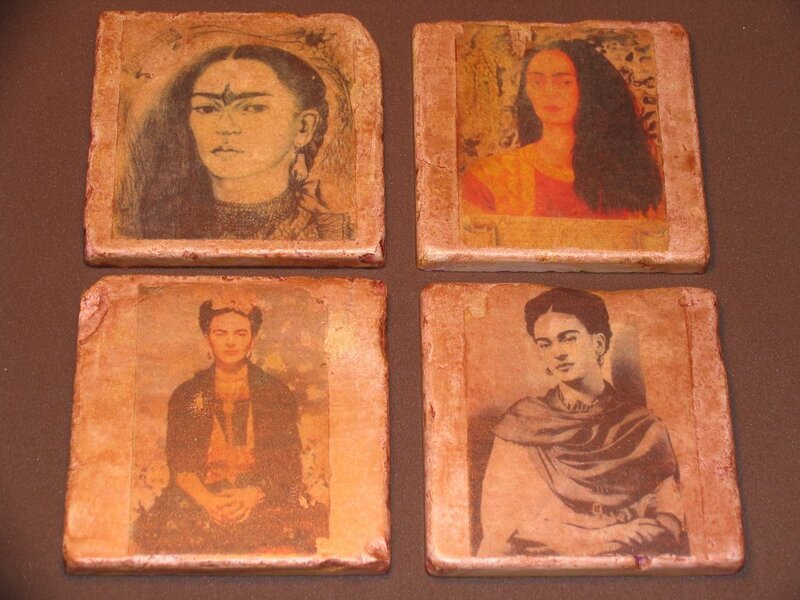 don't know frida but she surely looks stunning on these coasters!! It Was Raining Pine Needles!